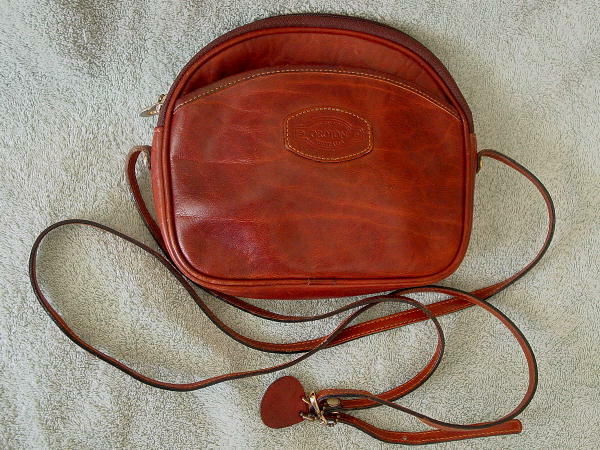 This genuine cowhide dark caramel-rust color purse was made in Australia and is by Croton. It has a top side to side zipper with a circular logo pull and there is an open front pocket. The lining is in a very light tan and there are 2 tiny ink marks on the side and some lighter areas on the interior bottom. The interior upper back has .ET. upside down in black marking pen. 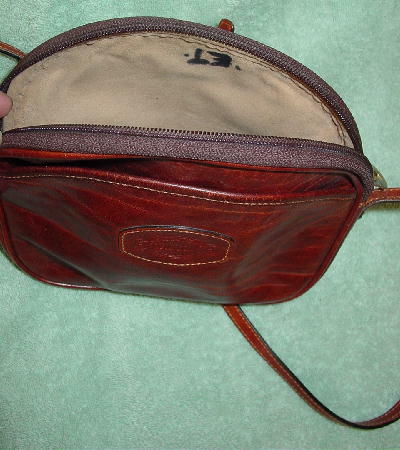 It has a 66" long by 3/8" wide shoulder strap and there is a leather logo attached to the shoulder strap by a little chain. It was used in a foreign film. She said the black letters were there when she bought it.